This is a combo kit from our very popular RP5 tank platform. 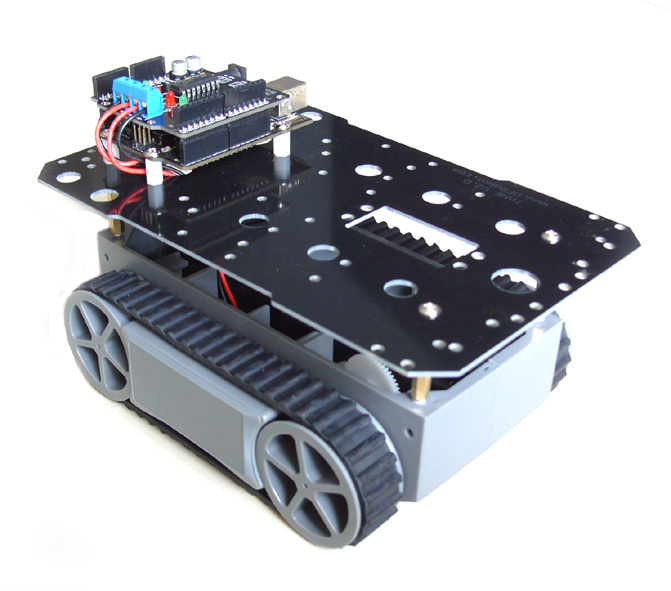 It combines a DFRduino Duemilnove 328 controller (Arduino Compatible) and L293 motor shield. Simply plug your power supply, you should have this tank rock and roll.